Casey Crime Investigation Unit are investigating an aggravated burglary that occurred in Narre Warren South on 16 November. 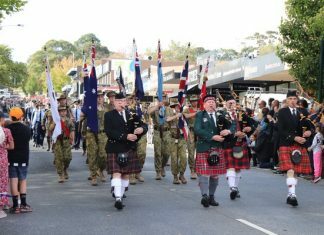 Police allege that unknown offenders have entered the Benmara Crescent address and stolen a number of sets of car keys before stealing a white VF Holden Commodore and returning a few hours later to steal a 2008 gold Mitsubishi Lancer. The Lancer was located at approximately 6am on 17 November on Bruce Street, Dandenong. Police have released CCTV still images of a man who they believe may be able to assist with their investigation. 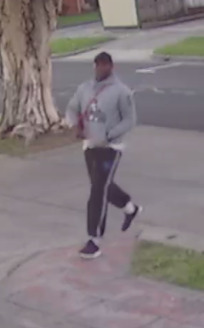 The man is described as dark skinned, late teens-early 20s, medium build wearing a grey hoodie with some sort of logo on the front, dark cap, pants and runners with a red satchel bag. 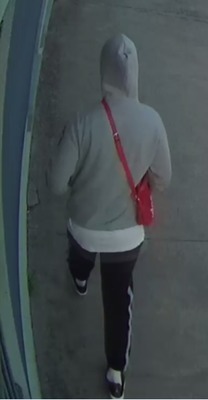 If you recognise the man or have any information about the incident please contact Crime Stoppers on 1800 333 000 or http://www.crimestoppersvic.com.au and quote incident number 180389326.